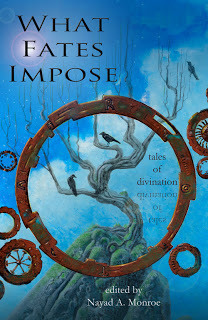 What Fates Impose is OUT! Just a quick note: WHAT FATES IMPOSE (edited by Nayad Monroe) is now out, so if you missed pre-ordering it through the Kickstarter, you can buy a copy now. The print copies are $15.99 and e-books are $4.99. Here’s the Alliteration Ink page, which provides multiple links to buy the book. Choose a bookseller! Buy direct! Fork over your filthy, filthy money! I could re-iterate stuff about the story, but instead I’m going to link to the post that I made when I was flogging the Kickstarter project: here. Also, here’s the Goodreads page, where you can still write reviews for the anthology, probably, unless Goodreads helpfully deletes them for you. Not a lot to say today, but my flash piece, “Mice” is out in Fireside issue 4 today. It’s $2 to buy just issue 4, and $24 for the whole year. It also looks like there’s a giveaway for people who buy a year’s subscription in the first week. In other news, I found out that “This is a Ghost Story” will be in the November issue of Apex, so that’s coming up in a few months. AND I’ll be at Worldcon at the end of this month, so hopefully I’ll see some of you there!